Our pond, although supplied with fresh water from 5 underground streams, has become unpleasantly filled with vegetation each summer. 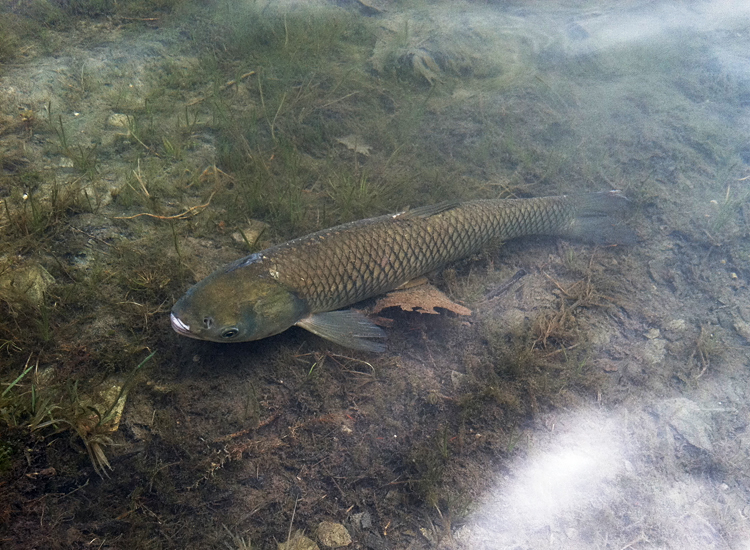 My friend Maria mentioned that triploid grass carp could clean it up. So we applied for a license and the local authorities inspected our pond. These fish are supposed to be sterile, but the fish and game people have to be sure that there is no overflow into another body of water JUST IN CASE they somehow reproduce. 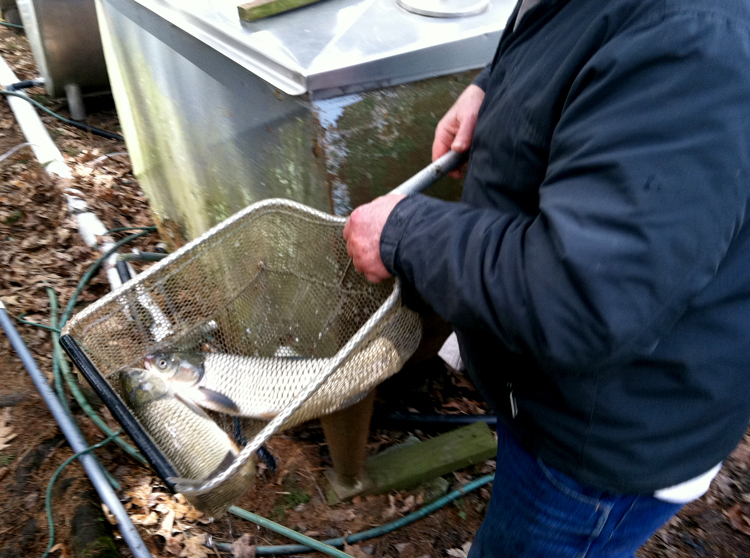 Last Saturday we picked up the 4 carp that we were assigned as the correct number to eat the greenery in our pond. 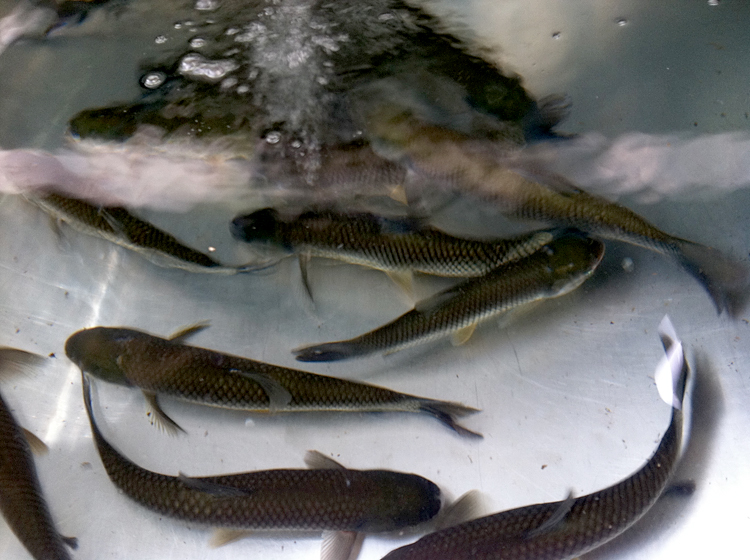 The carp were waiting for us at White Oak Farm in Hillsdale, NY, relaxing in a large, aerated container. 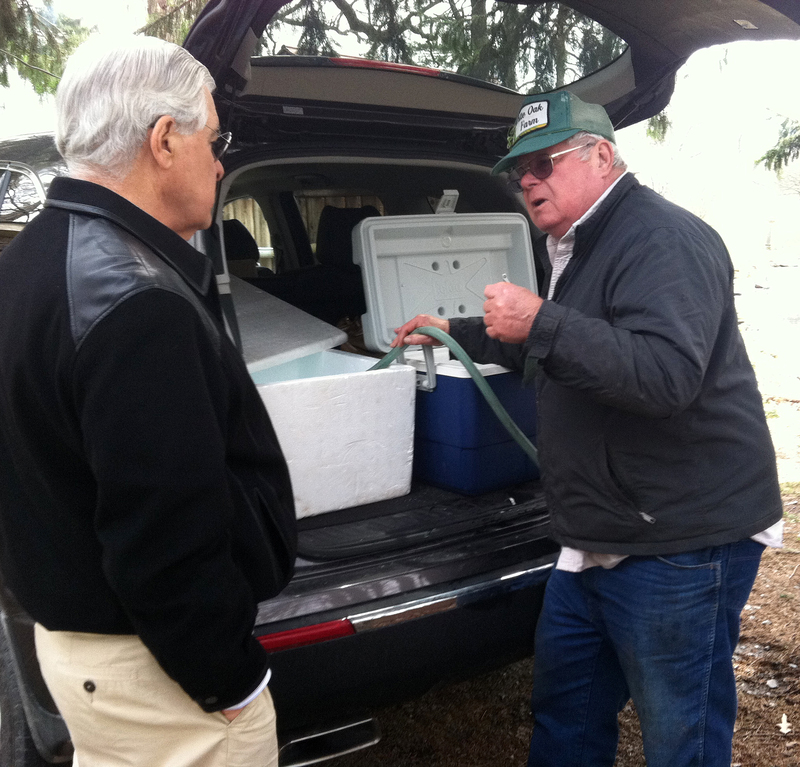 Meanwhile, Fred Laing, who is tremendously knowledgeable about these and other fish matters filled our 2 picnic coolers with water and gave us instructions on transporting and handling the fish. 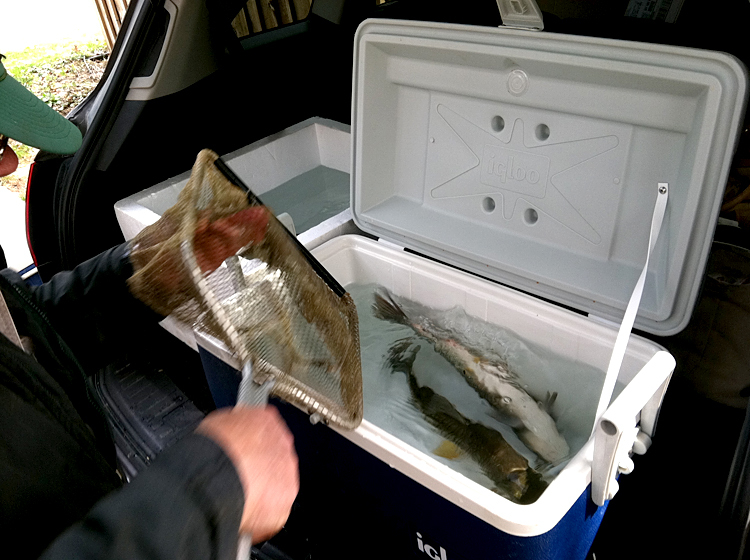 Then he netted our fish and put two into each cooler. The fish didn’t seem to mind. We got large carp so that they wouldn’t be bothered by the large-mouth bass that have turned up on the pond, carried in as eggs on bird feathers. We drove straight to the farm and gently dumped them all in. Each one paused, got its bearings, and swam away. I hope they live and prosper! Good post. Here’s hoping they do their job! Ferocious Hail Storm Finally got an iPhone!